As a veteran online shopper and frequent internetter, I was very surprised that I had not heard about AliExpress until quite recently, by reading Carbon Chic. Amazed at the frankly overwhelming range and skeptical of the prices, I decided to make a couple of orders of low-priced items and see what came back (if anything). I bought two long necklaces and a skirt on November 14 and the items duly arrived exactly a month later on December 14. All transactions went smoothly. It says in the item description that it's made from clay but that doesn't seem to be the case, it's a very lightweight, almost plasticky sort of metallic resin if that makes sense. I like it and have already worn it a few times, including Boxing Day. The only issyew is the way the pendant is joined to the chain; it makes it flip around and face backwards most of the time but it's nothing my jewellery pliers and a brass-coloured loop won't fix. And for 35 cents - THAT'S RIGHT, 35 WHOLE CENTS, I am physically and possibly legally unable to complain. What can you even get for 35 cents these days, let alone something wearable? Stepped it up a little price-wise and paid almost a full dollar more for this piece. 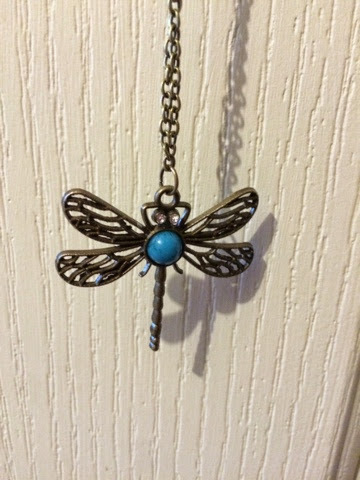 The pendant is lovely but the chain is a little "silver". It needs to be dulled down somehow for a more vintage look but I am still very happy with it. Can probably swap it out for another chain. Splashed out big time on the last item and spent a crazy $11.04 (these prices are all US so it will be slightly more in AUD) in the selected colourway you see in the big picture. Now, when I see "free size" I blithely assume that will fit because free means one size fits all, right? Perhaps reading the measurements first (and then actually comparing them to my own measurements) would be a better plan. However, the skirt is actually very nice. The material is a nice shiny cream with pretty flowers, just like the photo and it has a zipper and a half-slip lining. It feels kind of fancy. The band is smooth at the front and elasticated at the back. And happily, it does fit! 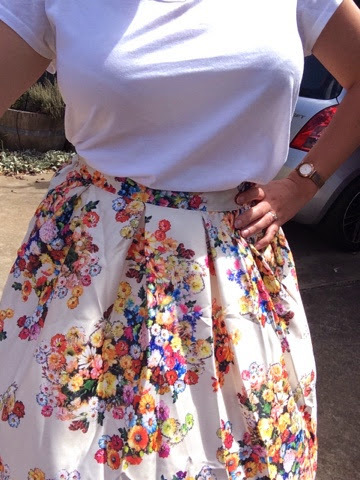 Admittedly, I had to wait until after the Christmas gorging was finished and I'm wearing it pretty damn high on the waist but it does fit. 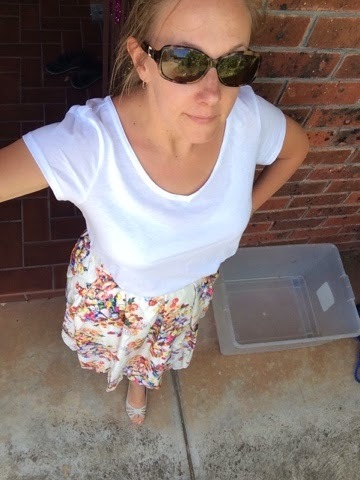 I'm wearing it with one of my $5 Kmart tees, the wrong bra, Kate Spade "Annika" sunglasses, some cream cut out wedges from Savers, a scrappy ponytail and no makeup. 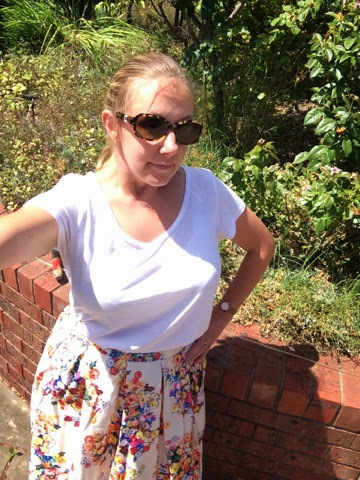 Still working on those outfit shots. So in summary, I am very happy with my first Aliexpress experience and will no doubt will be back very shortly. If you're interested in learning more, Carbon Chic has an excellent keeping it real FAQ which may assist and entice you to check it out just like I did! Thank you! Yes, I can see myself doing a lot of late night trawling in the future . . .